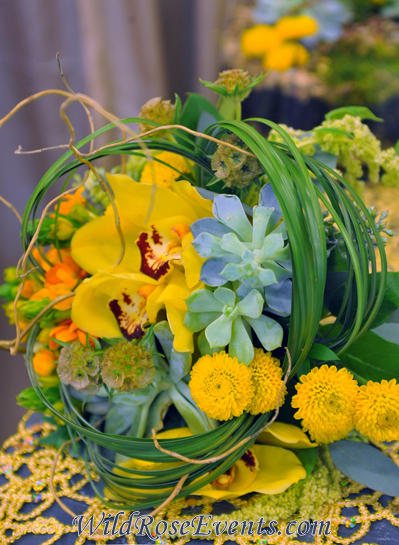 We love the Dallas World Aquarium and they love us… so this is for them! 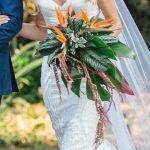 This bridal bouquet is a vibrant mix of seasonal tropicals in a round or cascading bouquet. 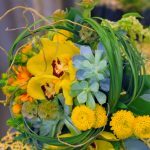 Tropical flowers include options like: bird of paradise, hawaiian orchids, protea, cone bushes, ginger, and tropical greens. 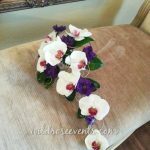 The bridal bouquet stems are usually wrapped in white or off-white, but other colors are available. Bridemaids are wrapped in a coordinating color of satin or sheer ribbon. 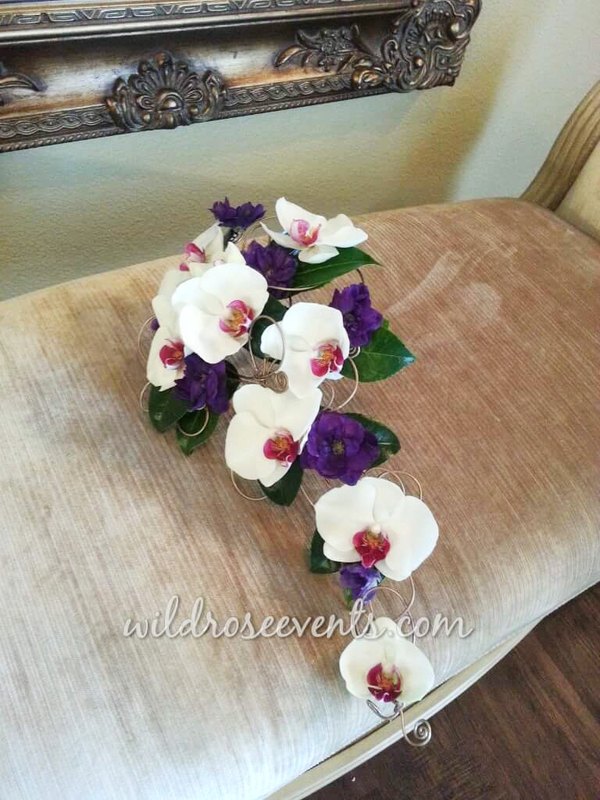 Copyright 2018 Wild Rose Events and Floral Design. All Rights Reserved.